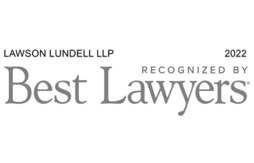 Lawson Lundell LLP’s history spans over 130 years. 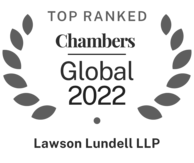 Throughout that time, and continuing to today, Lawson Lundell has been consistently recognized as one of the leading law firms in Western and Northern Canada. Lawson Lundell (formerly known as Lawson, Lundell, Lawson & McIntosh) was founded in Victoria in 1886 by E.V. Bodwell. In the 1890s, E.V. Bodwell was joined by two Lawson brothers, Jimmy and Harry. In 1910, the firm decided to establish a branch of the Bodwell and Lawson firm in Vancouver. Jimmy opened the office and remained in Vancouver for the rest of his life. In the 1920s, several of Jimmy Lawson's important Vancouver clients included the Powell River Company and the Vancouver Province. During the 1930s, the firm acted for the only two pulp and paper mills in British Columbia, which were responsible for approximately 75 percent of all the logging business and about 40 percent of the lumber business in B.C. In 1936, we acted for John D. Rockefeller, Jr., who sold a large block of timber on Vancouver Island to H.R. MacMillan, who was going into the lumber business. The decades since the Second World War have seen a continuous growth of the firm in terms of size, client development and diversification. During this time, the firm expanded to include a broad range of practices and industries and serving clients in jurisdictions across the globe. In 1997, Lawson Lundell opened its Calgary office. Over the years, the office has emerged from a group largely focused on Indigenous, environmental and regulatory law, to a full service office that provides pensions and employee benefits, corporate commercial, commercial litigation, real estate, banking and corporate finance and securities advice. In 2002, the Yellowknife firm of Gullberg, Weist, MacPherson & Kay merged with Lawson Lundell. Its predecessors had an established presence in the Northwest Territories since 1976. 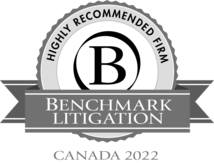 The Yellowknife office is a leader in the North, offering legal services across virtually all areas of business law. In 2017 Lawson Lundell launched its China Initiative and opened an office in Kelowna, British Columbia. The China Initiative was founded to help serve both Canadian clients looking to do business in China and Chinese investors looking to do business in Canada. The Group is comprised of team members who understand both the legal and cultural environments of doing business in China, and many are fluent in Mandarin or Cantonese as well as written Chinese. More information can be located on our China Initiative page. The Kelowna office opened in the spring of 2017. This office currently focuses on serving the growing technology sector in the Okanagan region.